Owner of this modified 2008 Hummer H2 has a license plate that reads “BACON MM”. 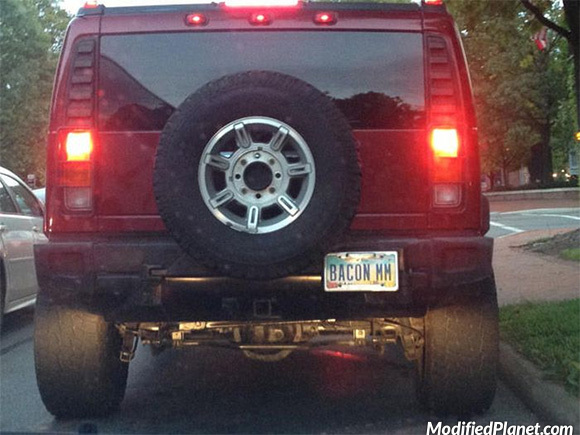 He must like bacon. 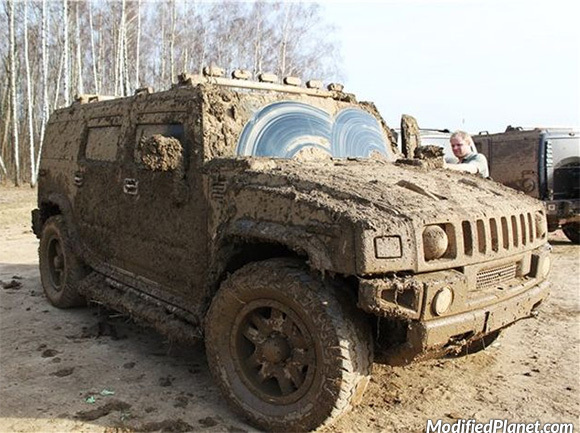 Owner of this 2008 Hummer H2 decided to go mudding, came back dirty and covered in mud. 2007 Hummer H2 sitting on a set of 22″ x 12″ Weld Cheyenne wheels wrapped in 40″ x 15.50″ Toyo Open Country M/T tires. 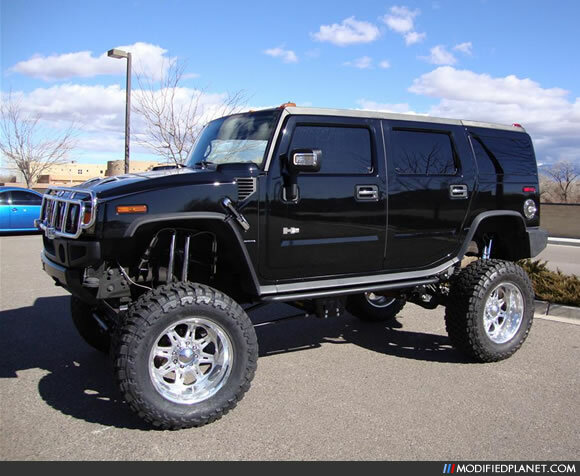 Doesn’t look like the owner of this 2007 Hummer H2 won’t have a problem with snow or mud.